The Columbus County area amateur radio repeater is 147.210+ MHz, and is located on top of Columbus Regional Healthcare System (Columbus County Hospital), located near the intersection of Business US74-76 and Old Tram Road in the city of Whiteville, N.C.
WILMINGTON VHF ASSOCIATION - includes the powerful "82" repeater in Winnabow, N.C. It contains a basic description of a ham radio repeater, how to use it properly and is written with the NEW HAM in mind for the most popular ham band....2 meters. WHAT IS A REPEATER, WHY IS IT NEEDED, AND HOW DOES IT WORK? What: It's a two-way radio system that receives on one frequency, then re-transmits what it hears on another frequency; at exactly the same time. It's nothing more than a "dumb machine" with smart people behind it. Why it's needed: Your mobile or handheld transceiver, has a limited range due to it's antenna height with respect to the radio horizon and radio frequency attenuating surroundings. Repeater systems are used to "transfer" your transmitted and received signals to much higher elevations electronically using large, very efficient antennas, low-loss feed lines, and a transmitter and receiver that is rated for heavy or continuous duty. A repeater "gets out" your signal and receives the station you are talking to with a far greater range and coverage area. You take advantage of the repeater's higher elevation to increase your effective transmitting and receiving coverage versus your mobile or hand held transceiver. See the cartoon schematic above, for a simple diagram of how the repeater works. The feed line used on most repeaters is not just a piece of standard coax cable. A type of specialized feed line called "Hard Line" is used. It is very similar to cable TV line that you see strung between power poles around town. The signal loss with hard line versus regular coax is much lower than in standard coax, so more power gets to the antenna and weaker signals can be received. This device serves a major role in a repeater. The duplexer separates and isolates the incoming signal from the outgoing and vice-versa. It prevents the receiver and transmitter from hearing one another by the isolation it provides. A duplexer has the shape of tall cans and is designed to pass a very narrow range of frequencies and to reject others. It helps to reject very strong nearby frequencies from other repeaters or rf producers from getting into the repeater system. Receives the incoming signal. This receiver is generally a very sensitive and selective one which helps weaker stations to be heard better by the repeater. It is set to receive the input frequency. It's also where CTCSS (Continuous Tone Coded Squelch System) or "PL" decoding takes place. Most machines, as repeaters are sometimes called, have a transmitter composed of an exciter and a power amplifier. The exciter modulates the audio coming from the receiver which is tuned to the transmitting stations's frequency at the proper transmit frequency, and the power amplifier simply boosts its level so the signal will travel further. Lots of repeaters use 100 watts or more. It simply takes the weaker received frequency from, say a mobile, and re-transmits it (repeats) at a higher power level on a different frequency. This is the brain of the repeater. It handles repeater station ID using either CW or voice, activates the transmitter at the appropriate times, and sometimes performs many other functions depending on the sophistication of the repeater. Some also have a DVR (Digital Voice Recorder) for announcements and messages. The controller is a small computer that's programmed to control a repeater. In order to listen and transmit at the same time, repeaters use two different frequencies. One for its transmit frequency and another for it's receive frequency. On the 2-meter ham band, these frequencies are 600 khz (or 600 kilohertz) apart. On other bands, the offsets are different. As a general rule, if the output frequency (transmit) of the repeater is below 147 Mhz, then the input frequency (listening) is 600 kilohertz lower. This is referred to as a negative offset. If the output is 147 Mhz or above, then the input is 600 kilohertz above. This is referred to as a positive offset. (The Whiteville repeater, shown above at 147.210+, has a positive offset, as indicated by the "+" shown). If you have your radio tuned to 146.840 MHz, (the repeater's output frequency), when you push the mic button, your radio automatically transmits on 146.240 Mhz, 600kc's down from 146.840. When you release the mic button to listen, your radio switches back to 146.840 Mhz to listen on the repeater's output frequency. Note: There are exceptions to the rule so check local repeater listings. Without having an offset between the transmit signal and the receive signal frequency, the repeater would simply hear itself when it was transmitting on the same frequency it was listening on. Therefore, to use a repeater a user must use a different transmit frequency than receive frequency. Your actual transmit frequency is the exact same one that the repeater receiver is listening on. This is a form of duplex, or two frequency operation. It is known as half-duplex as you do not receive and transmit at the same time but normally use the push-to-talk button on your microphone to switch between the two. Cell phones use full duplex so each party can hear the other while the other is talking. Even with the offset, the two frequencies are close enough that some isolation is required. Again, this isolation is done by the Duplexer. So you can see why some repeater components interact with each other and without the basic system components....nothing would work. What's all those tones about? PL, an acronym for Private Line, is Motorola's proprietary name for a communications industry signaling scheme called the Continuous Tone Coded Squelch System, or CTCSS. It is used to prevent a repeater from responding to unwanted signals or interference. Tone Squelch is an electronic means of allowing a repeater to respond only to stations that encode or send the proper tone. In other words, if a repeater is set up to operate only when a PL tone of say, 136.5hz is heard by it's receiver, then it will allow the transmitting station access. If your station, (your mobile, base or handheld) does not transmit the tone when you key up, then the receiver of the repeater does not hear you and will not be usable by your station until you set the tone in your radio. Any station may be set up to transmit this unique low frequency tone that allows the repeater to operate. If a repeater is "In PL mode" that means it requires a CTCSS tone(PL tone)to activate the repeater. Due to severe congestion of ham repeaters in some areas, most repeaters are PL'ed. These repeaters were once called "closed" repeaters. You set your transceiver controls for the 147.210 "machine" and listen to see if it is in use...nothing heard. You key your mic and throw out your callsign...."This is KK4xxx listening." Then you release the mic button. Assuming your station is within range of the repeater, the repeater antenna picked up your signal with it's antenna on your transmit frequency, set to the standard offset and the repeater's receive frequency, and sent it down the feedline to the duplexer. From there it was sent to the repeater receiver and converted to an audio signal (just like the sounds coming from your speaker), sent to the controller (the brains of the repeater), then sent to the repeater transmitter and turned back into a much greater amplified radio signal on the output of the repeater, sent to the duplexer, then through the feedline, to the antenna and out over the air. A mobile or base station that happened to be within range and monitoring the "21" machine heard your transmission on the repeater output frequency. Since radio waves travel at about the speed of light, at the split second that you first keyed your mic, the above events took place and the repeater was receiving your signal on one frequency and re-transmitting your signal on a different frequency at the same time. The mobile station that was listening on the output frequency of the repeater heard your callsign, keyed his mic and came back to you starting the process all over again. A simple way of demonstrating what is going on with a repeater is to set a scanner or a second receiver tuned to the input frequency of a LOCAL active repeater, in the case above, 146.390 MHz and you can monitor it's input (and the stations using it if they are local). Then with your transceiver, monitor the output on 147.210 MHz. You should be able to hear both the input signals and the output of the repeater as all this takes place on the air. First, LISTEN AND LISTEN SOME MORE...... to make sure that the repeater is not already in use. When you are satisfied that the repeater is not in use, set your transmitter power to the minimum and increase only as needed to make contact with the repeater, begin with the callsign of the station you are trying to contact followed by your callsign. e.g. "K4xxx this is KK4xxx". (The K4xxx is your callsign). If you don't establish contact with the station you are looking for, wait a minute or two and repeat your call. If you are just announcing your presence on the repeater it is helpful to others that may be listening if you identify the repeater you are using AND your callsign, e.g. "This is K4xxx, monitoring (or listening)." This allows people that are listening on radios that scan several repeaters to identify which repeater you are using. If the repeater you are using is a busy repeater, you may consider moving to a simplex frequency (transmit and receive on the same frequency..... see more below), once you have made contact with the station you were calling. Repeaters are designed to enhance communications between stations that normally wouldn't be able to communicate because of terrain or power limitations. If you can maintain your conversation without using the repeater, going "simplex" (both stations on same frequency in a different part of the band) will leave the repeater free for other stations to use that can't establish simplex communications. The first and most important rule before using a repeater is to LISTEN FIRST. Nothing is more annoying than someone that "keys up" or DOUBLES in the middle of another conversation without first checking to make sure the repeater is free. If the repeater is in use, wait for a pause in the conversation (watch your S meter and wait for it to drop indicating the repeater is listening) and simply say "Emergency, Emergency, Emergency", and wait for one of the other stations to acknowledge your call. If for some reason you are not heard, then repeat the 3 "Emergencies" again...then if you are still not heard, try another nearby repeater. Don't use CB lingo on any ham band such as 10-4,.....don't say BREAKER! Using the words BREAK, or BREAK-BREAK or BREAK-BREAK-BREAK, or any combination of them on ham radio can be misunderstood by an operator depending on his experience. The word "break" or combinations of it carries many different meanings in the ham community and in the English language. So rather than have confusion...use plain language! Many hams use the wording, "BREAK-BREAK-BREAK," (the word "break" repeated 3 times in a row). This is accepted practice on the high-frequency bands where noise may be a problem, but on repeaters, usually noise is not a problem, so using "plain" language such as "EMERGENCY", REPEATED 2 OR MORE TIMES can be used to announce that there is an emergency and the frequency is needed to relay vital information. If you hear an "Emergency" call during your conversation with another station, stop transmitting, acknowledge the station calling the emergency, and let them have the frequency immediately! Don't delay them by saying something on the order of "Stand by breaker" and then carry on your conversation with your contact. Seconds wasted doing this may save a life! Listen to them carefully and write down the details of their emergency. They will give you the details of the emergency. Then pause for a moment and wait before you go back to him; many other hams who heard the emergency call may be responding ALL at the same time. If someone "beats" you to getting back to him, let him take over. Do not break into the conversations UNLESS there is a need for a relay. Under certain situations due to distances involved with mobiles and repeaters, you may be able to hear a mobile BETTER than the repeater on the input frequency of the repeater. It is a good idea to monitor the input if possible if the station reporting the emergency is having trouble getting into the repeater. You may be closer to him than the repeater and can hear him better. When using VOICE, use the international standard "MAYDAY" or universally understood "EMERGENCY" to announce traffic of life-or-death importance. Wait for a space between transmissions if the repeater is busy. Key your mic and state..."Emergency, Emergency, Emergency," then unkey. Wait for a response from the repeater users. If you get no response, try another repeater. When you do make contact, state your call sign and give as many details as to the emergency as possible. Don't panic, speak slowly and clearly so the details will be understood the first time! Always give details as exact and specific. Give the details of the exact LOCATION of the emergency using enough description of the location so it can be found easily by first responders. Don't say, "on highway 701," and leave it at that. The emergency vehicles need exact locations if at all possible. Remember, seconds or minutes saved equal lives in many cases! Give number of "victims" if possible. Is there is fire involved? downed power lines? immediate road blockage due to wreckage creating further dangers? DETAILS, DETAILS, DETAILS. Use plain language on a repeater. If you want to know someone's location, say "Where are you.... or what's your location?" If you want to know whether someone you're talking with is using a mobile rig or a hand-held radio, just ask: "What kind of radio are you using?" You get the idea. Most repeater use is of a "local" nature so signals will be usually of very high quality. The use of the phonetic alphabet is very helpful at times. Don't call CQ to initiate a conversation on a repeater. Just simply listen to make certain the repeater is not in use and then key your mic and say your call sign. When you are using the repeater leave a couple of seconds between exchanges to allow other stations to join in or make a quick call. Most repeaters have a "Courtesy Tone" (a short...beep or series of beeps) that will help in determining how long to pause. The courtesy tone serves two purposes: Repeaters have a time-out function that will shut down the transmitter if the repeater is held on for a preset length of time (normally three or four minutes). This ensures that if someone's transmitter is stuck on for any reason, it won't hold the repeater's transmitter on indefinitely. (Don't laugh, many microphones get lodged in the fold of car seats and keep a repeater busy until it times out. Of course if it is not noticed soon by the mobile operator.....the control operator of the repeater may have to shut down the repeater until the problem is corrected.) When a ham is talking and releases the push-to-talk switch on their radio, the controller in the repeater detects the loss of carrier and resets the time-out timer. When the timer is reset, the repeater sends out the courtesy tone. If you wait until you hear this beep (normally a couple of seconds), before you respond, you can be sure that you are pausing a suitable length of time. After you hear the beep, the repeater's transmitter will stay on for a few more seconds before turning off. This is referred to as the "tail". The length of the tail will vary from repeater to repeater but the average is about 2 or 3 seconds. You don't HAVE to wait for the "tail to drop" before keying up again, but make sure that you hear the courtesy tone before going ahead. Note: If you don't wait for the beep, the time-out timer may not reset. If you time-out the repeater, YOUR conversation AFTER the time-out will not be heard. The repeater time-out function does not care if you are still talking or not; and the station on the other end may rib you about hogging the machine and you will have wasted all those words! What is Doubling? When two stations try to talk at the same time on the same repeater, the signals mix in the repeater's receiver and results in a buzzing sound, squeal, distorted sound or severely jumbled and broken words. "Do you have any comments Fred?, this is N3xxx"; unkey. Lots of new hams don't understand that the S meter on their radio is only reporting the relative strength of the repeater system and NOT the signal strength of the station they are talking to unless they are in the simplex mode. When the repeater is transmitting, it may have an output greatly exceeding that of the station IT is listening to. Remember the station it hears on the input frequency of it's receiver may be on a hand held radio and only a few blocks from the "machine" or it could be a mobile radio in a vehicle out on the fringes of the repeater coverage area or a base station running a high gain antenna and 100 watts from the next county or in some cases, the next state. To a third party, (another ham), listening to the machine on the repeater output, all of these stations would have the same S meter reading on his S meter! As long as the repeater can detect the signals and is working properly as it is setup, then all stations, (to the third ham), will "appear" to have the same signal strength on the S meter. Remember, the S meter is only reporting the relative strength of the repeater when it is transmitting and not the individual stations. So all that being said, how do you give an accurate signal report to the station you are talking to? Listen to the background sounds of his AUDIO coming from your speaker in between words and sentences. Don't even look at your S meter. (Assuming the repeater has a good strong signal into your location). If there is no noise other than room background, road, passenger or other sounds that could be picked up by his microphone, then he would be said to have a FULL QUIETING signal into the repeater.....receiver. NOT 50 OVER S9, S9, OR ANY COMBINATION on your S meter. The term "Quieting" refers to the carrier level of the transmitter being strong enough to "quiet" the background hiss on the frequency. If some background noise such as the hiss that is commonly heard in an FM receiver is heard on the transmitter signal, then it would not be considered "FULL QUIETING". There are times when either station using a repeater may be getting into the repeater receiver with very little signal and the repeated signal will have lots of noise on it. Although the repeater signal may be full quieting when the weak station stops transmitting, the weak station can not be considered to be full quieting into the repeater so you would give the other station a report on his signal and not the repeater. Don't get confused with this. If his audio is perfectly understandable with 100 % copy and there is NO "noise" in the background other than the above, then an accurate report for him would be, "You're full quieting and 100 % copy into the repeater. Anything less than the above is usually given in various ways using an exact as possible description of his signal. "Audio" reports are a matter of interpretation by individual ears. We as hams are in the "business" of communications, not HI FI broadcast FM! We can only sound as good as the FCC will allow our transmitters to sound. If you are having extreme difficulty copying the other station, he may also be having the same problem with you, but remember he is hearing the repeater signal, not yours direct and so are you. Try to get him to go "simplex" if he is coming closer to you in a few minutes. See hint below. If the transmissions get so ruff that neither can copy the other, then just give your call sign and clear off the repeater for others to use while he gets closer or higher or changes his transmitting setup. Not all conversations are completed to the end under adverse conditions or operating situations....be patient. HINT....If the station is in and out of range of the repeater you and he were using and is coming in your direction...try him on a simplex frequency! He may be loud and clear direct on simplex and only a few miles away and getting stronger all the time but he is getting farther from the repeater! Another situation that can happen during a new contact is that you and he did not exchange locations at the first of the contact. Both you and he are using a repeater 50 miles away. Then after several minutes you discover in your conversation with the other station that he is in the same town as you and only a couple of miles away! Time for simplex! Don't hog the repeater. Simplex operation generally means station-to-station or direct communication on the same frequency between two stations and not using a repeater. Use the least amount of output power needed to carry on the contact. Simplex should be used when the two stations are close enough to carry on a conversation without the use of a repeater and will help in congested metro areas with a limited number of repeaters. Control operators are usually the owners, trustees or other designated licensed operators of a repeater system. They sometimes stay quietly in the background just listening to the everyday operation of the "machine" for technical problems, proper use, FCC rule breaking, etc., on a particular repeater. The control operators for a repeater have complete control of whether a repeater is on the air or off, and have the ability to stop its operation at any time. Use the repeater to the best of your ability. Report any unauthorized use of a repeater to the repeater owner or person responsible for the operation of the repeater. One last thought....SUPPORT YOUR LOCAL REPEATERS. It takes LOTS of money to maintain a repeater and the money has to come from somewhere. If you can't donate funds, then donate your time, assistance, equipment, knowledge, labor or anything of value to the repeater owner to help keep it on the air. It will be appreciated! Only licensed Amateur Radio Operators are authorized use of ANY Amateur Radio transceiver including repeaters in the transmit function. SEVERE PENALTIES ARE ENFORCED BY THE FEDERAL COMMUNICATIONS COMMISSION. LICENSED HAMS HAVE WAYS TO DETECT BOGUS CALL SIGNS, SO DON'T TRY IT. 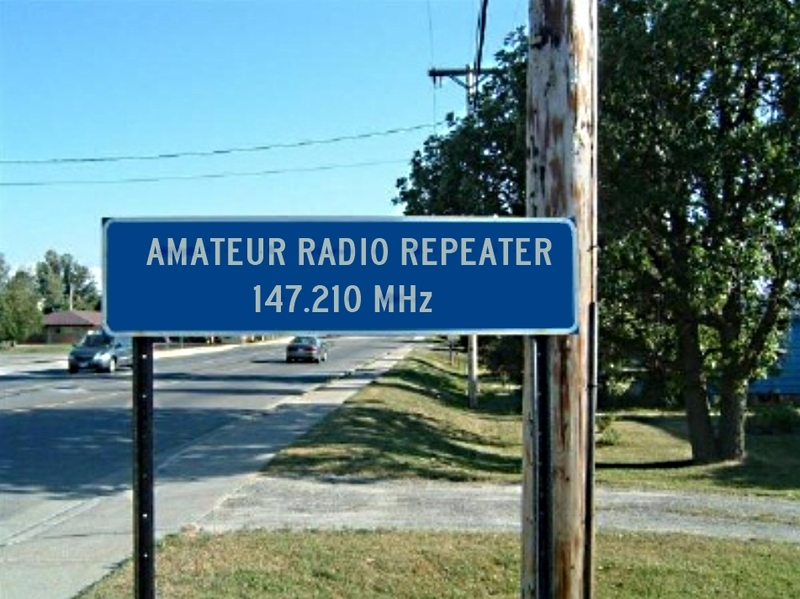 The above article was reprinted from HamUniverse, "How To Use Amateur Radio Repeaters," found by clicking HERE.